Formed on 1st April 1994 serving the role as instrumentation equipment distributor. Activities included “Onshore And Offshore Oil And Gas Fields And Facilities Services Installation and Maintenance of Measurement and Control Equipment And Devices Trading””. Extending instrumentation and automation solutions to the customers in United Arab Emirates. The concept of District Metering Area (DMA) management was first introduced to the UK water industry in the early 1980’s in UK Report 26. According to that report, DMA is an area of a distribution system which is specifically defined (usually by the closure of valves) and in which the quantities of water entering and leaving the area are metered. Non Revenue Water (NRW) is defined as the difference between the total volume of water Flowed IN TO the DMA and the total volume of water flowed OUT OF the DMA. Supplied DMA System numerically integrates the Flow Rate Signal received from the flow transmitter to get the total volume at all times. This flowmeter totalized volume would provide the quantity of water flowed into the DMA. CPC System can receive this totalized volume from DMA System RTU. Consumer metering (consumption) data is also available at CPC System. 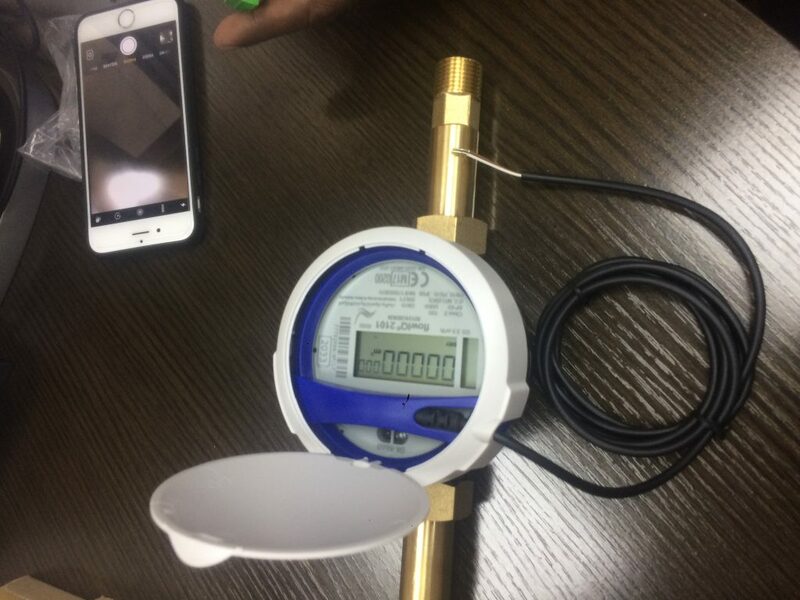 FEWA is the water and electricity provider to the Northern Emirates in the UAE and expects that the new ultrasonic water meters will improve water efficiency and reduce water losses. Descon has been actively involved with various projects and supplies to the Oil & Gas, Electricity and Water/Waste water utilities in the region. Trying a new avenue of business, with a totally new domain of “Water Metering”, we have secured partial order for SMART Electronic Water Metering from Federal Electricity & Water Authority (FEWA). 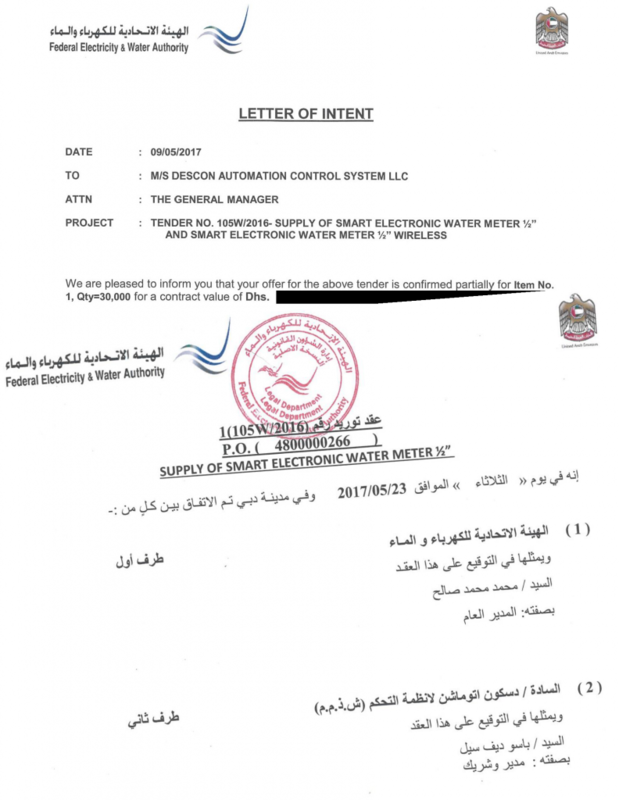 We had been officially invited by the Federal Electricity & Water Authority (FEWA) to participate in competitive bidding to Supply Smart Electronic Water Meters for FEWA Utility network. The total consumer base of FEWA is around 300,000 and they plan to roll out Smart Meters before 2018 for all their consumers. Also Descon has qualified Engineers who understand the technology and can support its customers locally in all aspects of the business. It’s worth mentioning few important points at this juncture. It is a Big responsibility for the team to execute this job. We must take all possible opportunity to maximize our efficiency in obtaining best output we can. Commercial documentation formalities, effective planning, factory inspection by client, part delivery as agreed in contract. Timely delivery of goods and taking note of every serial number of devices as we have a warranty obligation etc.. Product is totally new and a lot of learning will happen. We all members of DESCON take part in this task. By the third week of August 2017, DESCON has completed the first LOT of delivery in this contract. Second (last lot in this contract) is being expedited to be delivered by November 2017. 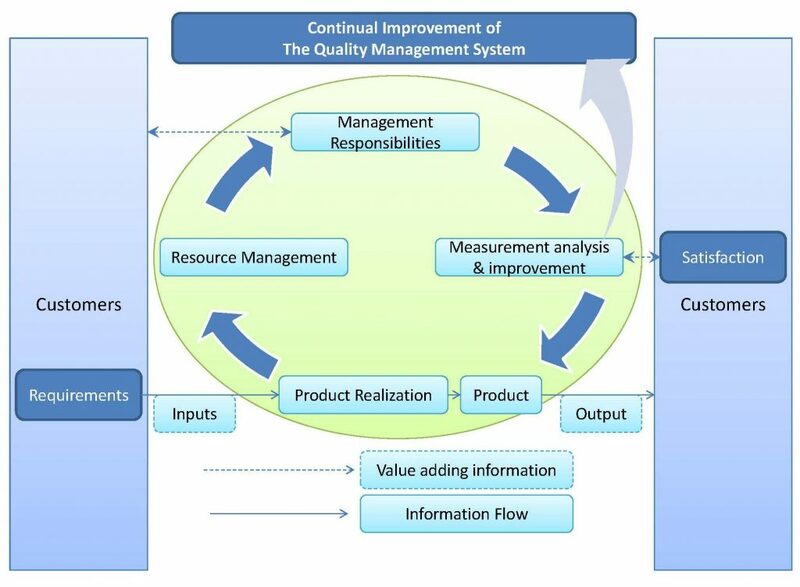 A Quality Management System in its basic concept is quite simple. Ensure that all requirements have been documented within the management system in the appropriate location in terms of defined specific system requirements. Outline performance processes, where applicable, to the quality system requirements. Measure, monitor and report the extent of compliance with these performance procedures. changes to the specific requirements when necessary. ISO 9001:2008 is an example of a Quality Management System. Design Modification to reduce wastage of resources. Trunking design at the Initial Stage of Panel Design. As per the initial design a portion is removing from both corners of each Trunking inside panel. Approximately 40mm of material is removing from Trunking in every joint and most of the panels are having at least 6 joints. Total wastage of 240mm trunking in each panel. A considerable amount of trunking wastage was observed during detailed design stage and modification / corrective actions are taken. As a result material wastage and associated additional works are prevented during manufacturing stage. Design Modification are done in a manner that, joining of trunking is possible without removing the edges / corners. Joining of Trunking without removing the corners. 2% ~ 3% of the total ducts in a panel. 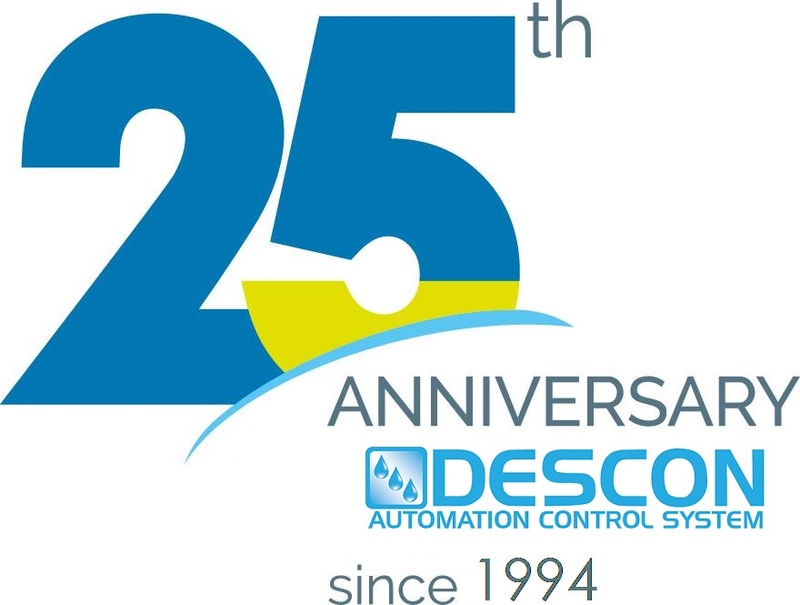 DESCON UAE’s Process Control Group, provides innovative, advanced Control system Design, development, implementation, factory acceptance tests, site commissioning and on-going site support for public and private sector organizations in utilities (power & water), petrochemicals and general industries.